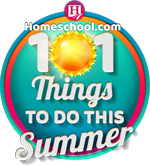 The holidays are a perfect time to change things up a bit in your homeschool! 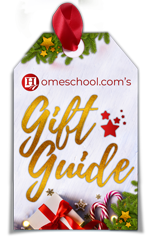 Whether you’re thinking of doing a homeschool complete overhaul or just want to infuse some fun into your days, what better gift could you give your kids than a love of learning? Science is definitely a subject area in which it’s easy to sprinkle a little fun! 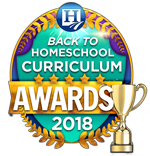 The 5E method is an inquiry-based method of instruction that makes it super easy for homeschoolers to consolidate lesson planning with actual teaching/learning. Students follow a prescribed format for learning and parents are able to stick with this method throughout all science lessons. Just what is this method, anyway? Engage – At this point, students are showing an interest in what you’re planning to teach. By activating prior knowledge and helping students think about what they already know or have experienced, parents are better able to help students make connections with what’s to come. 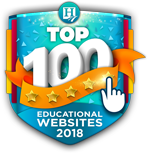 Explore – In this step, students begin to explore the concepts through hands-on experiments, by asking questions, developing a hypothesis and testing out variables. Explain – This step is probably the most familiar to homeschooling parents. It is at this point that parents explain any new concepts and introduce new vocabulary terms. Extend – Here, students begin to take the connections they’ve made up to this point and apply them to previous experiments or activities. Students may also choose to develop new hypotheses at this stage. Evaluate – The conclusion to the 5E Method involves students evaluating themselves and their work. They can demonstrate what they’ve learned in writing or through a hands-on demonstration. The 5E Method for science is not simply a teach-and-regurgitate method. Rather, it’s very student-focused and inquiry-based. It also enables students to move beyond science and apply their new knowledge to all subject areas! Christmas Tree Challenge – This challenge isn’t just for the students; parents can certainly get in on the fun here! See how many different ways your students can create a Christmas tree! Perhaps they could use construction paper and an old wrapping paper roll to make it 3D? From there, they could make “garland” by stringing paperclips together. The possibilities really are endless! Gingerbread Slime – By now, you probably have a favorite slime recipe. By adding a few natural ingredients to your favorite slime, you can take it from jiggly and slimy to decadent (smelling) gingerbread slime! Inverted Christmas Tree Race – This is definitely a challenge that requires a steady hand! To make an inverted tree, use the classic red Dixie cups and turn each cup upside down. For the first layer, use one cup. The second layer should have two cups, the third layer, three, etc. Between each layer, you’ll lay a thin piece of cardboard to hold the next layer. The winner is the person who successfully completes an inverted tree the fastest! Crystal Wreath Ornaments – To make these gorgeous STEM ornaments, you’ll need green garland pieces, string, Borax, hot water, a large bowl, and a chopstick or craft stick long enough to span the diameter of the bowl. Tie the string around the center of the chopstick and tie some of the green garland at the other end of the string. Into the bowl, pour three TB Borax for every cup of hot water. Replace the chopstick with dangling garland and let it sit for approximately 12 hours undisturbed. After 12 hours, remove and gently brush away and dangling crystals. Decorate as you wish! Gumdrop Christmas Trees – You’ve seen the DNA models made of toothpicks and gumdrops. In this activity, you’ll create a 3D Christmas tree using the same idea. Make sure it’s balanced or it will topple over! 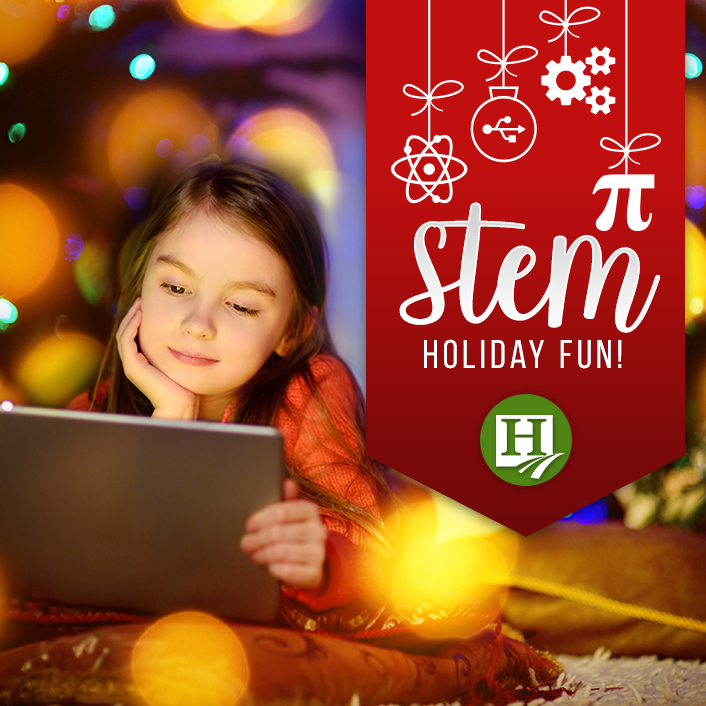 The holidays are a great time to incorporate some more STEM activities into your day, whether you’re taking a break from homeschooling or not. Try some of these fun activities and see if you can’t revive or ignite a love of science learning in your students!